Going through a divorce is a difficult process for most couples. This is especially true, however, in cases where a couple has children and one or more of the parties is an active member of the military, as the schedules of a military parent often affect his or her ability to exercise parenting time. This is true even when the party isn’t officially deployed, but when deployment does occur, a parent will usually be unable to see the child at all or even to consistently communicate with him or her. In these cases, having an alternative child custody arrangement in place is key to protecting the child’s best interests, while also preserving the deployed parent’s rights. Under current law, Florida allows courts to issue temporary modifications to custody arrangements when a parent is deployed if doing so is in the child’s best interests and the military parent’s ability to exercise parenting time will be materially affected. Unfortunately, with the exception of this provision, Florida law does not address all of the custody issues faced by military parents. However a new law, which is set to go into effect on July 1st, attempts to resolve this by providing a more comprehensive approach to managing child custody during deployment. If you are a divorced military parent and want an explanation of how the new statute could affect your own parenting rights, it is important to speak with an experienced child custody attorney who can advise you. Petition the court, asking for the issuance of an order if a couple is unable to come to an agreement. If there is no permanent custody order in place, the amount of time that the deployed parent usually spends with the child. These custodial responsibility agreements are temporary, so they terminate when the deployed parent returns, although they can be terminated early if both parents agree or the court orders it. 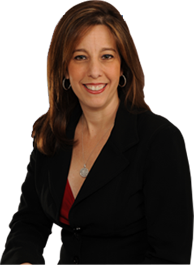 If you are a military parent and are concerned about who will retain custody of your child if you are deployed, please call experienced Fort Lauderdale child custody attorney Sandra Bonfiglio, P.A. at 954-945-7591 for a free case evaluation.